Well, here we are again with the FemSlash Advent Calendar :: Dog Days of Summer 2012. This is our 16th calendar in 9 years! 14 fabulous days of femslashy goodness! This year's calendar will fill the latter half of June, bracketing the Summer Solstice. Preferably the entries will follow a summer-type theme, but are not required to be sent in the summer months OR deal with any summer holidays. To be fair, if you're from the Southern Hemisphere, we will take winter-themed entries. So go ahead and check out the new info, then join us in the FSAC: DD12! 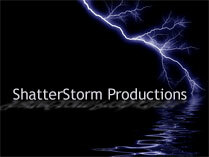 Voting & Awards .. Stormwriter, Shatterpath, and a guest judge will be offering awards this time around. The awards will be posted by 4 July 2012.